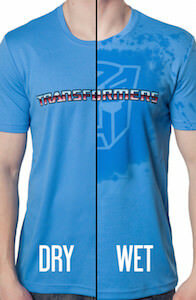 Now every Transformers fan can have an amazing Autobot t-shirt. 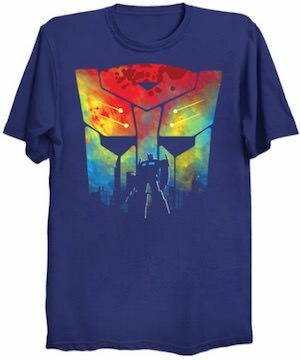 On the shirt you can see the Autobot logo in a colored print and it takes up a lot of space and then the bottoms of the logo shows a city skyline and also Optimus Prime and that makes this into an amazing shirt. The Transformers t-shirt is available in many colors and in style for both men and women and it comes in sizes Small – 6XL too for the perfect fit. So show the world that you are team Autobot by wearing this amazing looking shirt.